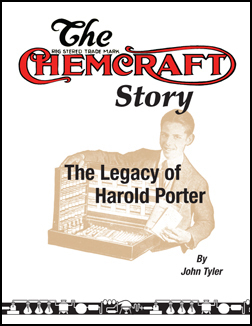 The vision of two young brothers—Harold and John Porter—led to the development of one of the first great science toys for children—the Chemcraft kits. From a time just before WWI until late in the twentieth century, the Porter Company under the stewardship of Harold Porter set the pace for producing educational and entertaining scientific toys that won the hearts and minds of American youth. In doing so the Porter Company products were the introduction to the world of science for generations of young people.